OXFORD, UNITED KINGDOM (ANS)–Edward Michael Bankes Green received his reward on February 6th, 2019. Green was Anglican priest, Christian apologist, theologian and one of the Six Preachers of Canterbury Cathedral. As an advisor to Archbishops, curate, author and teacher, Green was a force in Anglicanism and Biblical Christianity throughout the world. Revered Canon J. John reflects on his life and witness. 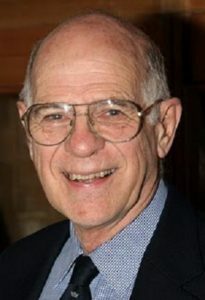 “The rich and extraordinarily fruitful earthly life of my friend Michael Green came to a close this week. Michael led a life that was so innovative, varied and dynamic that it’s hard to summarise what he did. He was – often at the same time – vicar, evangelist, writer and theologian. “Michael served the church faithfully in many roles since the beginning of the 1950s. One curious observation of longevity is that you can end up outliving not only your contemporaries but also your achievements. Something of this applies here. Throughout his ministry Michael played a significant part in shaping what is modern evangelicalism in the UK. Yet precisely because many of the battles he heroically fought occurred so long ago, there are many today who are unaware of the role Michael played in creating a culture that they now take for granted. “Particularly important was the way that, in two key areas, Michael was able to dispel prejudices. One was the belief, widely held until into the 70s, that you couldn’t be a scholar and an evangelical, and certainly not one who was passionate for evangelism. Michael had an extraordinarily sharp mind and accumulated academic honours – indeed, had he chosen to be purely a scholar he could have been a professor in any of the great universities – but he remained openly and enthusiastically committed to sharing the good news of Jesus. The second widespread preconception was that the only people who believed that the Holy Spirit might be a powerful and active force in the world today were those who were uneducated and knew no theology. 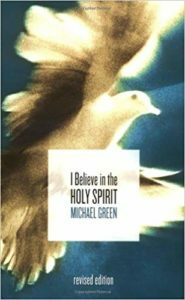 Yet by giving early and outspoken support for the Charismatic Movement when it emerged onto the global scene in the 1960s, Michael demonstrated that to believe in the Holy Spirit did not demand that you ignored theology. The fact that today we take it for granted that you can be spiritual and scholarly and clever and charismatic owes much to his labours. 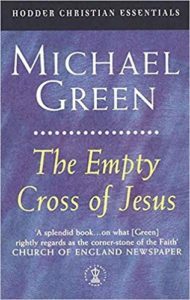 “Two aspects of Michael Green’s personality particularly struck me. The first of these was his wisdom. As the parable of the talents (Matthew 25:14–30) teaches us, many people are given gifts but not everybody puts them to best use, but Michael did. Although he could have written as a scholar for scholars, Michael preferred to communicate his wisdom to the many, rather than to the few. He wrote more than fifty books, all of them readable and all distinguished by the way that he wore his great learning lightly. Even what is possibly his masterwork, Evangelism in the Early Church, keeps ‘the common touch’. “There was wisdom, too, in the way Michael observed the way both the world and the church were going. Despite being someone who was very much at home in the ancient world, Michael kept a careful watch on emerging challenges for the church and responded rapidly to them. 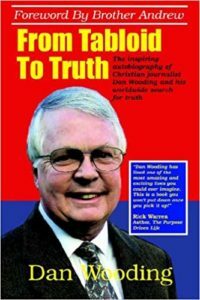 So, for example, when in 1977 the now almost entirely forgotten book The Myth of God Incarnate was printed amid much publicity, Michael immediately organised the writing and publication of a scholarly riposte with such speed that The Truth of God Incarnate was on sale a mere six weeks later. Yet if he could see immediate threats, Michael also looked to the long-term. Indeed one common theme in his varied career was a concern for building the church of the future. Whether in teaching or training Michael realised that one of the most profitable things he could do was to invest in the lives of future generations. “So Michael was a profoundly wise man. Yet wisdom on its own can be a sterile gift; after all the very word academic can be used as an insult. Yet one of the things that made my friend so remarkable and so valuable was that his wisdom was coupled with passion. He had a hunger for God and, at the same time, for men and women to come to know Christ. 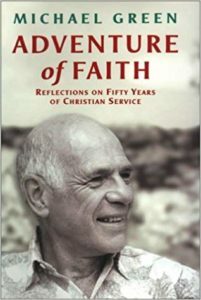 He loved sharing the faith and had a remarkable enthusiasm for evangelism that age did not dim. His passion for witness put him at odds with those who preferred their Christianity to be neither shaken nor stirred but he didn’t care. 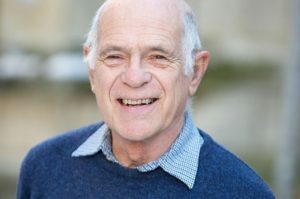 “It is with great sadness that I pass on the news that Michael Green went to be with the Lord yesterday Wednesday 6th February at around 3pm at the John Radcliffe Hospital in Oxford. “His passing was peaceful and he was surrounded by Rosemary and his immediate family (including Tim who’d just managed to get there from SE Asia).